I never realized how delicate life was until I lost my two infant sons. I am a mother to a little boy, who is eleven, going on fifty, and I am also the mother to two other little boys who never got to see the sun rise or the sun set. When strangers saw my round belly two years later (while I was then-pregnant with my little one, who is now three), they used to ask me, “Oh, is this your first?” And I didn’t know if I should tell them, “No, this is my fourth, but I lost two,” or keep them out of my business and simply smile and tell them, “No, this is my second.” But if I had told them the latter, I would have ended up feeling guilty, as if I were denying my two little boys’ existence. August 10, 2004 and July 19, 2005 were the two worst days of my life. Those were the days that I lost my babies. But I’ll only talk about July 19, because August 10th was a little bit too traumatic, considering it was my first loss, and I am just not ready to heal from that, yet. Sad to say, but by July 19th, I was already used to the idea of death, so I can openly talk about that day without all the tears. Plus, it’s my way of healing. On that hot day in July, I went to the neighborhood store to get something cold to drink before I went to my doctor’s appointment. I was already on bedrest, and out of work for a while because I was a high risk pregnancy. It was scorching that day, and all I could think about was getting through the rest of the summer, because the heat, my aching muscles, and the infrequent contractions I was getting over the past couple of days had me really paranoid about losing yet, another baby. I just didn’t feel “right” that day, but I had to get some cold water so I could make it to another one of my weekly doctor’s visits. I was barely able to speak, and I tugged at the sleeve of his shirt. “My water.” I shifted my weight some, from one leg to another, because the leg that was bearing most of the weight was losing circulation. “My water broke,” I repeated. He held onto my arm, as I slowly shuffled my feet to leave the store. Water had stopped gushing, but it was still tricking down my legs. My doctor’s office was just five minutes down the street, and I used my cell phone to let them know that this appointment wouldn’t just be a routine appointment, that my water had broken, and that they needed to be prepared when we walked in. We got to the doctor, and immediately I was rushed to an examination room, where the nurses stripped me of my pants and laid me on a table. The doctor tested the fluid just to confirm that it was amniotic fluid, and, indeed, it was. I was put on the fetal monitoring machine, and was told that the receptionist was calling for an ambulance to rush me to the hospital. I told my fiancé to go get my son, who was six-years-old at the time, because someone needed to get him from daycare. He kissed me good-bye and told me that he would meet me at the hospital. I could have found someone else to pick up my son, but I wanted to be alone, anyway, because I was already aware of what the outcome would be, and didn’t want to subject my fiancé to that pain again. I was a single mother before I met him, and always had to be strong for my son and for myself, so any other pain that was to come my way, I felt like I could handle it better than he could, because I had no choice but to be strong, if not for myself, at least for my son. As soon as my fiancé left, the nurses kindly wrapped me in an adult diaper, and got me ready for my departure to the hospital. 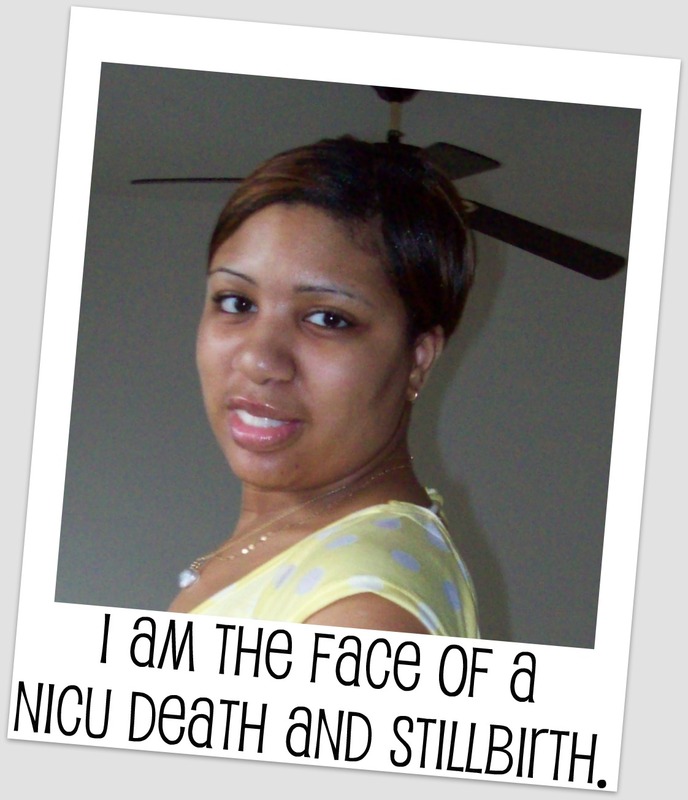 They had wanted me to go to the closest hospital, Southern Maryland, but Southern Maryland did not accept 23-weekers in their NICU. So my only option was to be ambulanced 20 minutes away to Hospital Center. Once in the ambulance, my “infrequent contractions” began to become more frequent, seizing my uterus about every five minutes. One of the medics who sat with me tried to calm me down and told me about her niece who had a 23-weeker, and that now, he was two- years-old, and very healthy. I smiled at her optimism and compassion, but was not convinced that this baby would end up with that same fate. By the time I got to Hospital Center, I was very uncomfortable, but trying patiently, to wait for a room. I was now in a wheelchair, in the middle of the emergency room, and I kept my head down to avoid the eyes of the other waiting patients that filled the room, and to avoid anyone having to see the obvious pain that I was in. When I got to the labor and delivery room, I changed into a gown, got into the bed, and an IV was started on me. I was given Nuvane, a drug that takes the edge off the contractions, through my IV. Soon after, Dr. Lamarque, one of the high- risk neonatal physicians, came to my room with an ultrasound machine. He was followed by one of the L&D nurses. My contractions were still coming every five minutes, but the medicine was working quickly to make me a little woozy. The nurse put the pink and blue belts of the fetal monitoring machine across my belly to measure my contractions and the baby’s heart rate. Dr. Lamarque began to set up the machine so he could look at the baby in utero. Once everything was set up, the nurse, whose name was Annie, sat on the bed next to me on my left, and Dr. Lamarque took a seat next to me on my right. He squirted some of that cold, “gooky” stuff on the transducer of the ultrasound machine and proceeded to examine my uterus. I listened to Dr. Lamarque. He spoke slowly and softly as he looked back from the ultrasound machine to the fetal monitoring device. Nurse Annie took my hand in hers and started to massage it a bit. My eyes were beginning to get heavy from my trying to stay awake from the Nuvane. I squeezed Annie’s hand in return and continued to try to comprehend what Dr. Lamarque was trying to explain to me. “…You’re one day away from being 24 weeks,” Dr. Lamarque continued. “Now, it’s best that we try to keep that baby in for as long as we can and see if his heartbeat will stabilize, or we can do an emergency C-section. What would you like to do?” He looked over at me for the first time, and patiently waited for my answer. I just continued staring at him. I couldn’t muster up the right reaction to what he was telling me because I was in a state of silent shock, and I was also drugged. “It’s Stacey,” I managed to tell him. I swallowed. My throat was becoming drier and drier by the second. I was getting scared. I handed Dr. Lamarque my cell, which I had been holding tightly in my right hand, just in case Stacey were to call. I told him the phone number, and watched as he dialed the digits. Thank goodness I was given that medicine, or else, if I had been of sound mind, there’s no telling how I would’ve reacted. I would’ve lost it. I would’ve absolutely lost it. And there was a reason why I told the nurse and doctor that Stacey was going to be mad at me. Earlier I had mentioned that I was better able to handle a bad situation than he was. I say that, because when we lost our first baby, he was beyond devastated and hurt, and the worst thing was that he never talked about it. In fact, he went the next two months without taking off the hospital armband that identified him as our son’s father, for whenever we went to visit him in the NICU. He stopped talking to me, and the hatred he felt at himself, or me, or whomever, just seeped from his pores. He ended up going out to drink every night, and most nights, he did not come home. See, me…I had no outlet to let out my hurt and pain. I had to just deal with it and move on with life, because I had another little boy to take care of. And that is why I thank God to this day that Stacey was out getting my son, and was not able to make it to this horrifying labor and delivery. For it was a labor and delivery. When I woke up minutes later from the medicine, I was in active labor. My contractions were hard and strong, and now coming every three minutes, and I had to give birth to this baby, who was now dead inside me. Annie was still with me; though, Dr. Lamarque had already left the room. She offered me an epidural, but I refused it. I had already gotten the Nuvane, which was kind of still working, and I figured epidurals were for happy mothers-to-be who needed to be comfortable while they awaited the birth of their babies. I was not a happy mother- to-be, and I was going to grin and bear the pain as punishment to myself for not being able to carry, for the second time, a healthy baby to term. By the time I was fully dilated, and felt more than ready to push, no one was in the room with me. I had blacked out right before that, and I guess, Annie had left the room during that time to let me get some rest. When I felt the strong urge to push, I grew very scared, and let out a soft scream, and called, “Help!” This was totally out of my nature—to express pain and fear, but I was terrified, for I had never pushed out a dead baby before. Annie and a doctor rushed into the room to help me, and I was grateful. I know it’s sad to say, but I wanted that baby out of me as soon as possible. The whole experience was just too gruesome for me, and I wanted it over with quickly. Before they moved me to my recovery room, Stacey was able to hold the baby in his arms, and a priest came to baptize the baby. I held the baby, also, and we named him Junior, and he was beautiful. But I was terribly heartbroken. Heartbroken that I couldn’t deliver a healthy baby, heartbroken that my baby had to leave this world before he knew his parents, and even more heartbroken that I couldn’t give Stacey a son, and my eight-year-old the brother he always wanted. I felt like a failure both as a mother and as a woman. Suffice it to say, I got through that terrible experience, and I felt more than ready, two years later, to have another baby. I never knew it could happen again, but I felt overly blessed and thankful for each day that I had carried my youngest son inside me. Being the age that I was when I lost my two kids, I still felt invincible—like the world was mine, and nothing could harm me. But losing my kids has taught me never again to take life for granted and that every day that I live is truly a blessing from God. Megan your story is powerful and one of the most touching stories I have ever read. i loved reading your story, its so heart breaking. Im sorry for your losses. 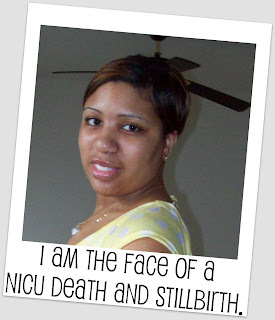 my husband and i just lost our 2nd baby, our first was june 28th of 2010 and our most recent was february 18th. I hope to one day have one of my own, its so hard to even think of trying again.